Introducing the next generation of Scout® portable balances. Watch the video here. Recently, the fan on the Lambda 650 sounds louder than normal. The readings are all the same and there seems to be no performance impact. It just sounds obnoxious and worrying to the users. Has anyone ever come across this issue/how did you fix it? Someone in our lab suggested a bearing adjustment might be needed in the motor, but it would be nice to have some guidance before I open up the whole machine. Advise this member. How do I calibrate this machine? Advise this member. 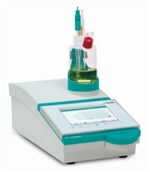 How should particle size of the sample work? Advise this member. Platform moves through a 10° angle from the horizontal plane. Dimensions w/ platform: 10 x 9 ~/2 x 6 inches high. Solid Phase Extraction (SPE) has become established over the past forty years as a versatile and powerful tool for pre-concentration in trace analyses of complex matrices including urine, blood, water, beverages, soil, and animal tissue. Recent developments1 and the inclusion of SPE in the EU programme for water analyses2 confirm the on-going role of SPE and I am taking the occasion to review the requirement for purified water in current SPE techniques. Click here to read more from ELGA. The Thermo Scientific Dionex Integrion High-Pressure Ion Chromatography (HPIC) system, the newest addition to the Thermo Fisher Scientific ion chromatography portfolio, is intuitive and easy-to-use, and capable of addressing challenging laboratory workflows. Read more. Prior Scientific’s Z-Deck rangeis a high quality, height adjustable platform designed specifically for upright microscopes widely used in electrophysiology and neuroscience, including the Nikon FN1/Ni, the Olympus BX51WI / BX61WI, and the Zeiss Axio Examiner microscopes. Read more. AMSBIO announces the availability of the world's first kit to differentiate human pluripotent stem cells into functional myotubes. The new kit utilizes a highly efficient media based protocol to produce skeletal muscle cells from stem cells in a simple, scalable manner. Read more. Distek, Inc. is a leading manufacturer of pharmaceutical laboratory instruments, specializing in dissolution testing products, as well as an experienced provider of validation and qualification services. In addition, Distek provides solutions for dissolution media degassing, dispensing and disposal, in-situ fiber optic UV, bathless tablet disintegration testing, physical tablet testing, and programmable automated sampling. Founded in 1976, Distek has grown to offer their innovation and support to companies worldwide. Their success is dependent upon Distek's employees, who bring their expertise, experience, and dedication to providing dissolution products and services of the finest quality. Conduct dissolution testing like never before! When I opened my Titralab, I had this comment "Internal Low Battery". How do I replace this internal battery? Advise this member. We purchased a Leco fp-528 back in the windows 98 days. The computer attached to it finally died. Is there updated software that will run in windows 7 or newer. How would I acquire this. Advise this member. The injection valve of the instrument Combiflash Teledyne Isco Rf+ is leaking by the safety valve. What's happening? Advise this member.